Hi folks, this is a group order (to keep costs down) for reproduction and custom marquees. The 20th group order has now CLOSED - details on the 21st group order to follow. Some marquees are now in-stock and available to order for immediate dispatch. See the stock list in post 3. As always, please post any new design requests here in the thread and I will fill as many as I can before the order closes. Once the group order is open, simply post here in the thread listing which marquee(s) you wish to order. Please use the marquee order codes from the catalogue when ordering, e.g. BlastOriginal-A. I will then MP each person with payment details (paypal gift or +4%) as soon as the group order closes. Payment must be received within a reasonable time frame, or the group order may go ahead without you! 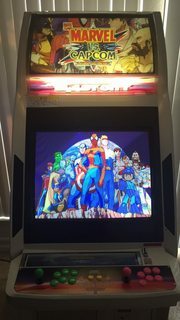 Back-lit "uniblast" marquees for Naomi Universal / (New) Net City / Blast City cabinets are printed on 285gsm backlit film and then laminated on the artwork side. These are £20 each. They have a glossy white back and a matt printed front. They are hard-wearing and are resistant to scratches, wear and tear etc. 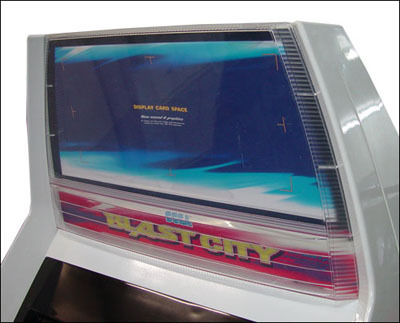 The designs are sized to fit Sega type marquee holders, such as those found on Naomi Universal, (New) Net City and Blast City cabinets. 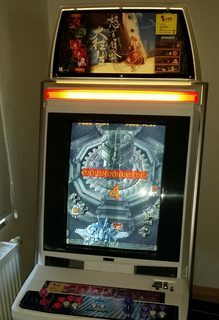 If you have a different cabinet that you are interested in a backlit marquee for, feel free to drop me a MP, as many of my designs can easily be reworked to fit different dimensions. 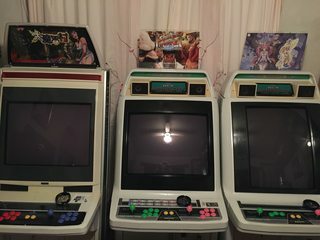 Non back-lit marquees are hard-wearing marquees for other cabs (Aero City, (New) Astro City, Egret, AWSD, Capcom Cute, Taito Canary etc) which don't have a back-lit marquee space. These are printed on 190gsm poster paper then matt laminated. They are £25 for two (minimum order quantity), £7 each after that! 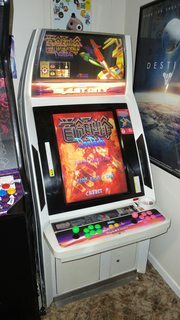 I can rework many of the backlit designs for these cabs, feel free to ask. 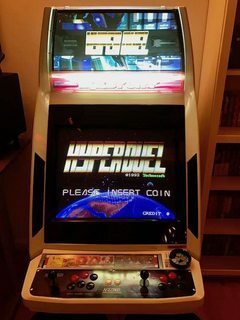 I can also do versions of these designs for any cabinet, not just those they are listed under in the catalogue, I simply need the marquee area dimensions. 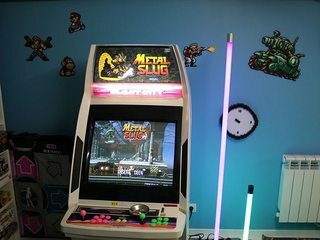 If you have a different cabinet that you are interested in a non-backlit marquee for, just post here in the thread listing your requirements. 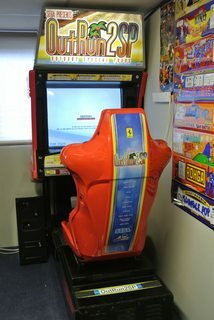 Special order marquees are for cabinets that have a much larger marquee space, such as Sega sit-down driving cabinets, Sega Lindbergh Universal, Capcom Big Blue cabinets etc. Exact marquee material details and pricing are available upon request. 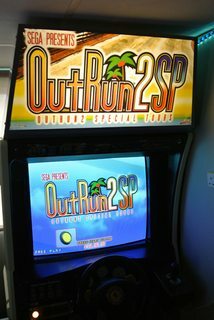 Non back-lit marquees for all other standard size cabinets are £25 for two (minimum order quantity), £7 each after that! 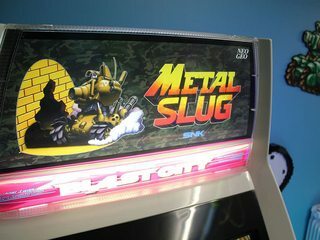 It is not possible to order non-backlit prints of "uniblast" marquees, or vice versa. This is because the prices stated account for minimum order quantities. Payment must then be received within a reasonable time frame, or the group order may go ahead without you! Once all invoices are paid, I then send the order to the printers. It takes around 2 weeks for the marquees to be printed, collected from the printers, trimmed, packed into poster tubes and then shipped out. Individual marquees can be tailored to suit your needs. 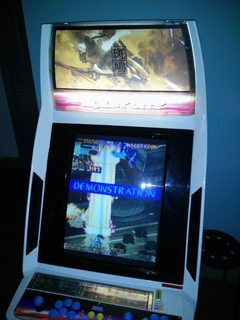 For example, you want that Ikaruga marquee, but without the treasure logo in the bottom right hand corner? No problem, just let me know when you order and if I can meet your request I will. 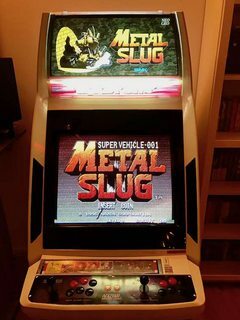 If there is a game you want a marquee for but you don't see it in the catalogue, please just post here in the thread and request a design. If I can make one for you, I will. 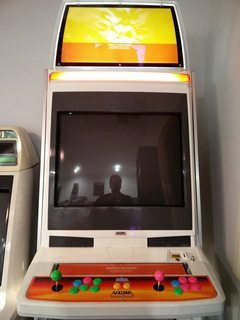 Other more individual custom designs can also be accommodated at 1x marquee cost for the design work, for example if you want a MAME marquee with your name on it and certain video game characters or whatever. To maintain my sanity, please post any other questions, requests, comments and generally all other correspondence in the thread below, rather than via MP. I will respond to all posts in the thread in due course and always meticulously read back through the thread before a group order closes to ensure I haven't missed anything. Seriously people, I get PMs all the time about marquees and I find it far harder to keep track of everything that is happening with the group order when that information is scattered across dozens of PMs. Whatever it is, please post it here in the thread, that way I can guarantee it won't slip through the net! Last edited by Spectre on March 7th, 2019, 4:56 pm, edited 114 times in total. Last edited by Spectre on March 1st, 2018, 3:55 pm, edited 63 times in total. These are available for immediate dispatch or can be purchased now, ready to ship along with new prints from the next group order. Updated regularly, but please browse the last few pages of the thread for any new designs which have not yet been added to the catalogue! Last edited by Spectre on October 11th, 2018, 2:56 pm, edited 49 times in total. Do you mean a move strip placeholder thingy, or a cab-themed holder marquee? 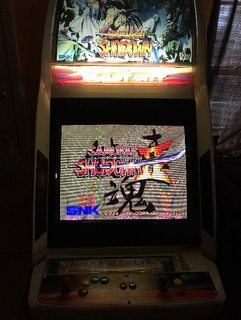 Street Fighter III 3rd Strike "SF33S-A"
Super Street Fighter IV Arcade Edition "SSF4AE-A"
Marvel Vs Capcom 3 "MVC3-A"
Street Fighter X Tekken "SFXT-A"
Last edited by Andypc on February 22nd, 2012, 12:02 am, edited 2 times in total. 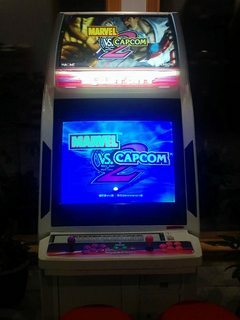 Andypc wrote: I would also be interested in Street Fighter X Tekken if it's ready. Sorry for asking a silly question but these are for Naomi/Blast City sized marquees right? uberpixel wrote: Sorry for asking a silly question but these are for Naomi/Blast City sized marquees right? 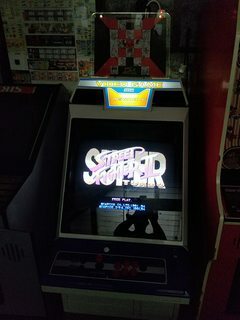 3rd Strike for me please. Requests, if possible: HSF2, Deathsmiles, Pink Sweets, Espgaluda II. 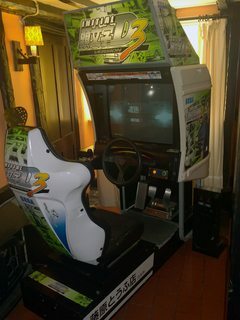 Ibara Marquee & Ibara Instruction Card Space all to fit Blast City. 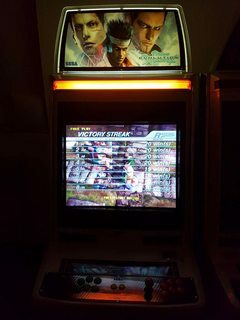 Would you consider printing a custom Marquee also of Raiden Fighters 2? I can send a file? MP me your details and totals ship to New Zealand? 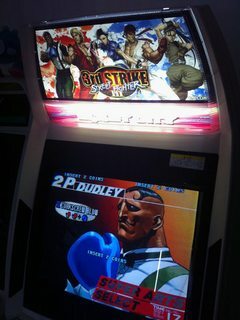 idc wrote: 3rd Strike for me please. 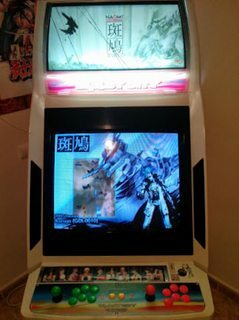 killer7 wrote: Ibara Marquee & Ibara Instruction Card Space all to fit Blast City. For instruction card space, what part are you referring to? 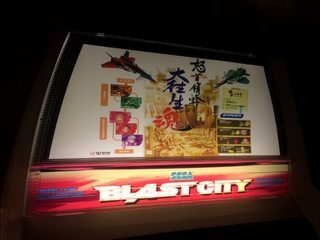 I know the blast can take the standard sega marquees, do you mean the move strip for on the control panel or the bit underneath the marquee? 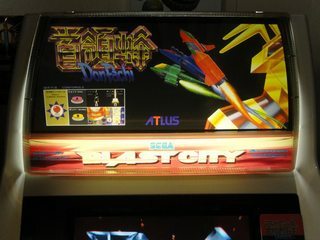 So in this picture the bit that reads "blast city". Either way I can probably do that for you, but I might need some measurements. 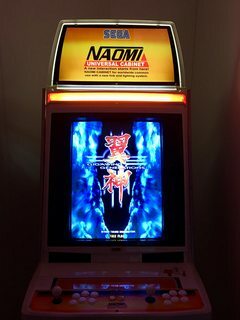 Would you consider printing a custom Marquee also of Raiden Fighters 2? I can send a file? MP me your details and totals ship to New Zealand? 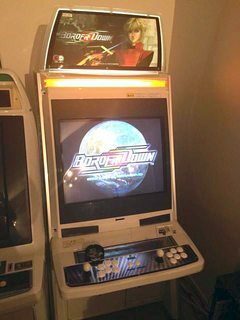 Just to clarify, the picture you've linked there is an earlier version, do you want the SSF4AE-A from in this thread, or specifically that version you've linked from my gallery thread? If it is possible I would like the one in the gallery thread, the one I linked too.